8 times the size of Earth, aye? The Earth is 24,901.55 miles long. If Notch is telling the truth, that means that any one world in Minecraft is 199,212.4 miles long. That leaves the age old question: Is the World of Minecraft a sphere or is it flat? If I travel 200,000 miles, will I end up where I started, will I reach some sort of un-coded wasteland, will I fall off the edge? Is this already a well known fact and I'm just a moron for not looking it up? These are things that the Minecraft community must know; or if they do know, what I must know. I'm not sure if Notch ever specifically stated the size Minecraft could technically reach. The truth is, the world is flat. Minecraft randomly generates the world as you explore it, infinitely. Due to some kind of limitations either in the code or hardware (I'm not sure) the limit is approximately 8 times the size of the Earth. Fantastic. Don't ask us, Google it you lazy *******. It's actually unlimited(I think). 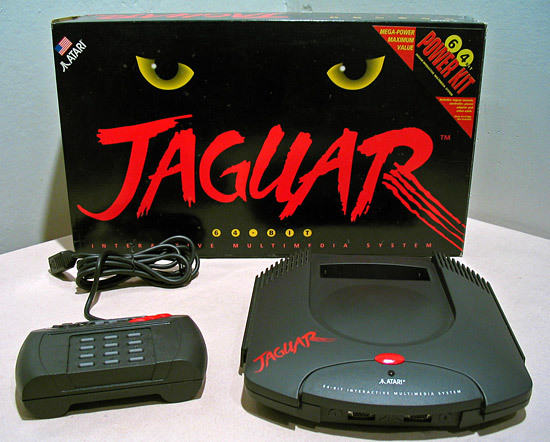 But even if it's not you would need a Jaguar (a super computer) to get to the end. The size of variables used in the game support a map of 8x the surface area of the Earth. Operational constraints limit a *practical* map to about 1.8x the size of the Earth. Both of these figures depend on you having sufficient hard drive space. If at first you don't succeed, repair the creeper damage and try again. But on both earth and minecraft, traveling in whatever direction, it looks flat. So there is no telling if minecraft is flat or a sphere. My friend told me that the game constantly generated terrain as far as you went. I'm pretty sure that there IS an end to it eventually, if it didn't, wouldn't the game memory get too large for the computer? Punch a tree. Punch another. Punch until my hand is broken, bloody, and infected. Great video, it explains a lot! I'm not one great with computers, but wouldn't a shutdown/restart clear the memory, so more chunks could be loaded? Or is it more of a limitation with the code, and it not generating chunks? I thought it was never ending, that's why I'm curious why it's not. you would need a Jaguar (a super computer) to get to the end. Nick1021: "Jaguar a super computer"
Therefore, Nether is 8 times smaller than the overworld, which is 8 times bigger than earth. lol I know you are joking. I don't know how to put on image here but really their is another one, not the game console. When you walk far enough away, chunks are written to hard drive and unloaded from memory. The limits are the size of variables that reference chunks (how many chunks can possibly exist on a map) and the size of your available hard drive space (the number of chunks in *your* map). Except for memory leaks (a specific type of code bug) the game in memory should remain fairly constant. What are ITS map limits? Does it have the same 8x limitations? And once you get past 1 or 2x, what happens when you build a portal back to the normal world? Minecraft is in no way round. If it was round you could start at one side of your base, then walk around the entire world and run into the opposite side of your base. Instead you run into some ****ed up area. anyone have a link of that video? Just watch it through to the end, then look to the right when the replay button and similar videos pop up. There's a box there that says URL. My guess would be that you are reaching a memory limit for whatever variable Notch is using for the terrain generation. I have never seen the source code but my guess would be something along those lines. From what Notch said a while ago, he switched to using floating point variables to represent block positions. This allows for nearly infinite worlds in theory. However, the map generation and the game engine itself go crazy at very large adressess because of precision errors. The precision of any floating point representation will at some point fall below the level where each block can be adressed uniquely (i.e. the difference of two consecutive values will be greater than two). This is why I can't understand why he chose to use floating point variables for blocks. Not only are floating points slower than integers, but you run into problems like these. If he used longs (64-bit), that means 2^64 blocks along any axis, which is still pretty damn big. That means that the total map area could be 3.4 x 10^32 square kilometers, which is absolutely insane. Now I imagine he used floating point so that positions smaller than a block could be stored (such as player position, or whatnot). Even so, floating point is not necessary. Simply considering the last, say, 3 digits of the long to be sub-block position would suffice. The math would still be exact and he wouldn't be using slow floating point. Anyone else have thoughts as to why he is using doubles?